We are a leading Manufacturer & Exporter of Screen Printing Machines such as Screen Printing Machine ATOM, Fully Automatic Screen Printing Machine, Flexi UV Curing Machine, Semi Auto Flat Screen, Fully Auto Screen Printing Machine, Mechanical Flat Screen Printing Machines and many more items from India. For the diverse requirements of our clients, we are engaged in manufacturing, exporting, trading, importing and supplying an exclusive array of Thermal Lamination Machine. 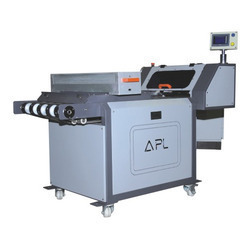 Our offered lamination machine is well known in the market for its smooth operation this lamination machine is accurately manufactured making use of leading technology and utmost-grade components accordingly with set industrial norms. 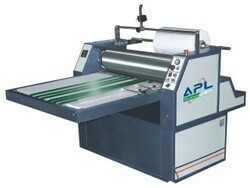 We stringently test the offered lamination machine against various parameters before dispatching it to customers. By keeping track with the market developments, we are engaged in offering Photo Glazing Machine which place UV varnish layer on photo paper as per with the design, our offered glazing machine is manufacture by us at our manufacturing unit using advance technologies & finest quality material. Additionally, the entire range of glazing machine is passed through a series of tests by our quality controllers so as to deliver a flawless range. Looking for Post Press Machine ?